This genius little wall device has shelves, clips, hooks, loops and other hanging mechanisms you can use - all easily adjustable and replaceable to your whim and desire. 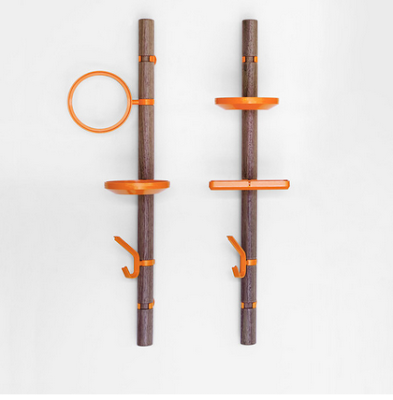 Need more hooks for coats? Done. Need more shelves for knick knacks? Boom. Each set comes with two clip trees, so you can play around with the arrangements. These babies don't come cheap, but they are an investment in space saving a minimal design whimsy.